Azada ® is rated 4.4 out of 5 by 75. Rated 5 out of 5 by SusanHunt from Azada I really enjoyed this game very much!! 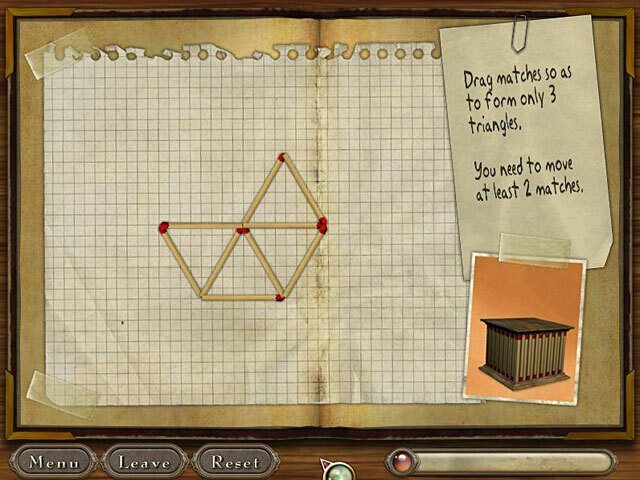 Rated 5 out of 5 by AdrianaIP from Great collection of puzzles Azada is just puzzles and puzzles, some easier than others, and skipping is not an option (you are given only a limited amount of skips, so save them for REALLY tough games - I used mine to get out of the Simon Says puzzles as I am no good at those). Nice variety of puzzles, some wich can be done quickly, and some tougher. The HOS scenes were the toughest as you had to find some itmes and THEN figure out what to do with them, and whehter or not to combine them. I really sweated when I had to get the crystal out of aquarium... Great way to entertain yourself on a rainy afternoon. Rated 5 out of 5 by rheashard2 from Revenge of the books. This is an oldie but goodie game. I purchased it awhile ago. Then recently replayed it. It was as much fun this time around as the the first. This time however I managed to complete it. I liked the fact that many mini challenges changed with each chapter restart. I enjoyed the timed mode the best. It motivated me most to finish the harder challenges. At the start of each chapter you'd get the storyline ongoing. I enjoyed the fact that it was revenge of the book that got the main character in trouble in the first place. For me it was easy to find the hidden objects but hard as heck to figure out how to use them. Rated 5 out of 5 by zeldaqn from Puzzlers Dream Only puzzles and none of the nonsense to get to them. I am going to go get the rest of them now. There were a couple that made no logical sense to me, but that's what the magic orbs are for :). Rated 5 out of 5 by SugarMax from Quite a Puzzling Adventure I tried to play this game on a tablet and struggled mightily. Tried again on my PC and just loved it. The story is not strong but the puzzles are continuous and challenging. Some of the puzzles do repeat, but they get harder as the game progesses. There is a timed element which adds to the experience. Graphics are outstanding. I also liked that the game could be played in small segments, as I had time, without losing focus. Rated 5 out of 5 by Wandakal1 from Mind puzzle arcade! Even w/o standard hos this is a great game and one you should try. Pretty sure you'll purchase after trying. Rated 5 out of 5 by cbilbo from Geez! It's butterflies! I bought this game not realizing it was all puzzles. This is a totally different genre than what I normally play. By the time the game was over, I was pulling my hair out. This game is extremely challenging. Each level gets more challenging as you advance. I found that I was watching the timer more than anything. Twice I had to start all over, because of stupid mistakes I made. I can't say more without giving away the game. If you want a great game that frustrates you to no end, then this is it! Rated 5 out of 5 by palomino69 from Excellent game! My favourite of all the Bigfish Games I own I love the fact that this game is timed, it adds to the excitement. The chapters, and games within each, get more difficult as you proceed. If you fail a chapter, you get another go and by doing so gain better knowledge and understanding of what is required. Very clever and well thought out game, with great graphics and good music. I love the fact, that once completed, you can then play each of your favourite puzzles within each level. We played it each weekend as a family, with each family member, completing the puzzle they preferred. We didn't need to skip, ask for a hint or use any walk through and had so much fun. Fabulous game! Thank you Bigfish. Please continue making more complex puzzle games like this. Rated 5 out of 5 by nwyn125 from Love this game!!! Okay this game review is long overdue. This was the first video game I actually downloaded from Big Fish Games. I loved the puzzles and brainteasers. I liked how each page had a mini-challenge. The graphics and the music was amazing. I also liked the challenge. The storyline was also good. For those who have played the newer Azada games should definitely play this one to find out why it was one of the most popular and successful game on this site that spawned Azada Ancient Magic and others. Rated 5 out of 5 by SEBEKA1023 from CHALLENGING PUZZLES If you like a game that is different and challenging, this is it. With most games I can watch TV at the same time - this had to have my full attention - I call that the best type of game. Rated 5 out of 5 by cclearwater from Puzzles, puzzles, puzzles I have played over 120 HOG's just for the love of puzzles. Took me that long to find this pure puzzle game because it is an older game. Hurrah. No more slogging through HO scenes and running to and fro picking up stuff just to get to the puzzles. Developers -- there is an audience for pure puzzle games! More like this please!!!! Rated 5 out of 5 by poustetine from Relaxed and atmospheric puzzle game The 1st and, to me, the best of the Azada serie! I'm less convinced by the 2 sequels, which are more hidden object orientated. 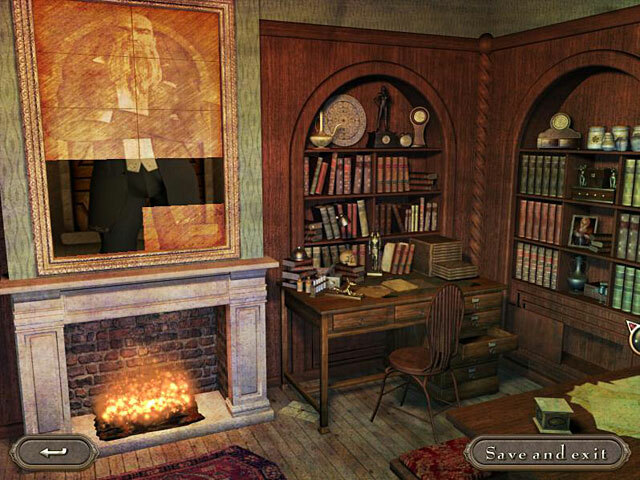 The plus in this first version of azada: Once you have completed the story, you have a complete access to all the puzzle to play again at will. Rated 5 out of 5 by emynnky from Great variety in one game Love the puzzles in this one. I wish the sequels would have been this good. 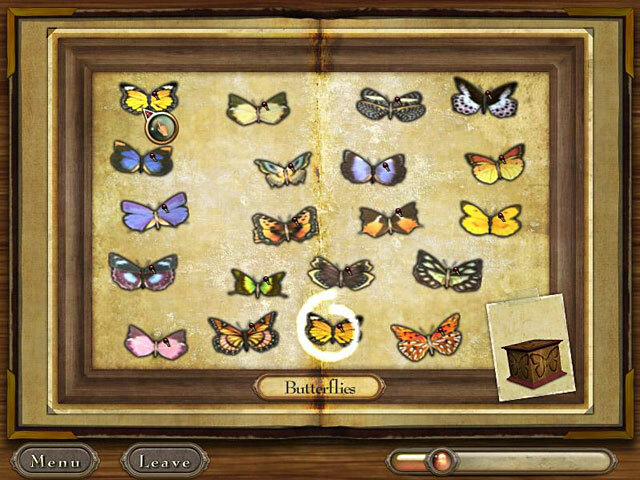 I would love to see more games like this with interesting mini-game/puzzles and less hidden object scenes. Rated 5 out of 5 by natashaet from An All Time Favorite!!! I just love, love, love this game! I've recommended it to countless friends and family. Thinking games are my cup of tea, and most all of the puzzles are get to your head! SO MUCH FUN! Rated 5 out of 5 by clkleinhans from Many different puzzels! This is one of my favorite puzzle games, because of the variety. Rated 5 out of 5 by sudsysuzy from Unexpected joy If a puzzle has a timer, it is normally a no-buy. I am really glad I took a chance on this game. It is just a wonderful fit with my expectations of a good puzzle game. I even found the timer a plus as it forced me to think before I played. 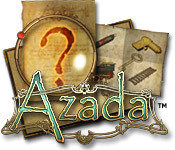 If you enjoy the mini-games in HO games, welcome to Azada. Rated 5 out of 5 by riley41608 from FUN FUN FUN!!! I HATE THAT IT ENDED!! Game is so fun and just challenging enough! Loved it! Can't wait for more! Rated 5 out of 5 by CanadianMae from Loved it but... ...didn't love how it was timed. Even if I was able to bank my time after each chapter, it wouldn't have been so bad. I also found that the "tamper-proof" book could be a little touchy when I tried to place something in my inventory. I'd hear that noise and see my time slip away. With that all said, it was a unique and enchanting game. I love various puzzles and I was able to note where my strengths and weaknesses were. Once the game is completed, you can play all the puzzles in relaxed mode. I love the music, it's very appropriate for the story. And the story kept me hooked right until the end! Rated 5 out of 5 by HappyGrandma38 from A lot of diiferent puzzles Of all the games I have, this is the one I played most. But I still have some problems with the robot and the matches. Maybe next tim it will be better. Rated 5 out of 5 by felth from azada ancient mystery Very good I enjoyed it. After playing the first azada I had an idea what to do to continue the books, but without that knowledge I think I would have been stumped, brilliant game, this is what I like. Many thanks and can't wait for the next one which I really hope there will be. Rated 5 out of 5 by baba247 from This is one of the best games of all I just realized that I hadn't given a review on this one and I refer to it often when I give reviews to other games. So here is my review I think that this is such a great challenge game, it will keep you on your toes if that is what your looking for . This game has many games in it and each one is unique but there are some that may seem to repeat just in a bit of a different way. The picture, sound, and color are great, there is magic and there is suspence. Threw out the whole game you will be lead threw many different games and you will need to really think threw some and I had to keep a paper and a pen close to write down once in a while for a couple of the games, anyway I have and will continue to say this is my favorite game, until I find one that can out beat this one but it will have to be pretty amazing . Good Luck Awsome game. Rated 5 out of 5 by towanda123 from Excellent puzzle game This game was great!! Challenging . I am working on the second installment which does not measure up to this original! The puzzles are great and I am hopeful another of this caliber comes out soon. Developers..Go with what worked in this first of Azada!!! Rated 5 out of 5 by BellaMorte from A Good Challenge Awesome graphics, puzzles and storyline. A nice challenge that isn't too impossible to solve. One or two mini games gave me the pips but all fun just the same. Rated 5 out of 5 by Rebr2009 from Awesome !!! Several different games and so much to do, ..it is impossible to stop playing until it finishes. Great graphics ! Great story. Rated 5 out of 5 by OldLady12 from This is an awesome game! We purchased this game a while ago, so had to replay to see what it was about. There is minimal story line, but a wide variety of games to play. All are awesome! Yes, there is a timer, but it is 35 minutes for each chapter and some games can be completed in less than a minute. You can also select which page (mini game) to play in the chapter so you can get all the easy ones done first and take time on the harder ones. Also, skip points accumulate for games not to your liking and after the first chapter, you have the option of playing mini games over & over again, so you can practice on all of them. There is the option to have many different players, so we start and play for an hour at a time as each of our characters to compete against each other. I highly recommend this game if you love all varieties of mini games of easy to sometimes hard challenges. Rated 5 out of 5 by VENICELOVER from Really game me a run for my money It's taken me months to finish this game. Since it was timed & consisted of puzzles I needed to be fresh when I played it. If you really want a challenge this is the game for you! Once you get the hang of it the puzzles go a bit faster, but they do get harder towards the end. I also tried Azada, Ancient Magic. Sorry excuse for a sequel and I don't recommend it. For a 2nd game in a series it was way too easy! Rated 5 out of 5 by marg6043 from The best of Azada This one was my first Azada game I purchase back in 08, I love it, the puzzles were good, the challenge was OK, just enough to keep you interested.